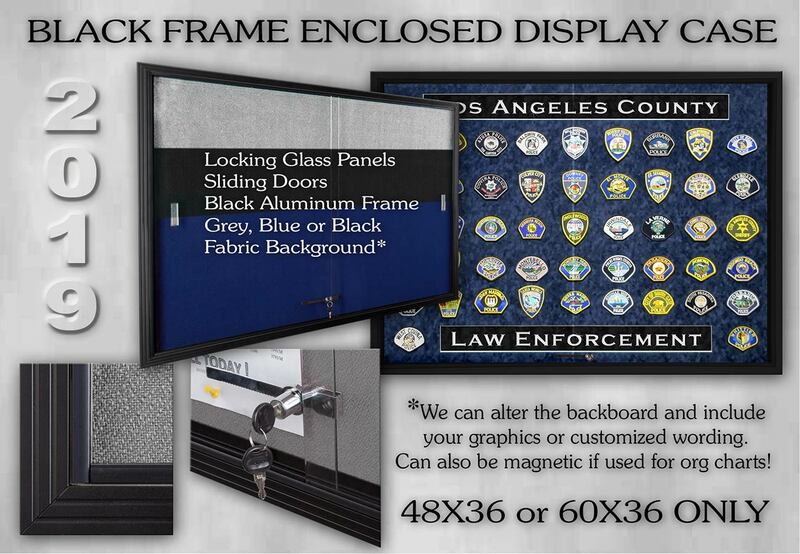 These are enclosed, wall mounted, lockable display cases. 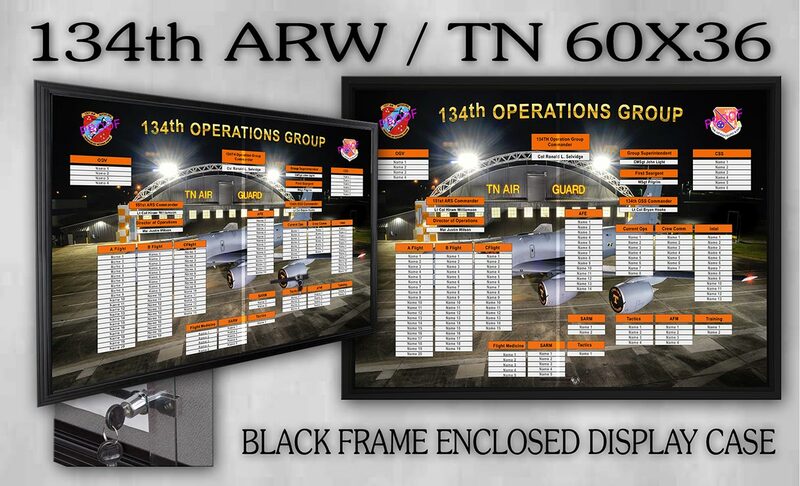 They are ONLY available in sizes 48X36 or 60X36 and can have a silver or black aluminum frame. The backgrounds can be fabric (black, navy blue, or grey) and are cork backed allowing multiple push-pins or thumbtack applications. These fabrics will also attach to hook velcro. 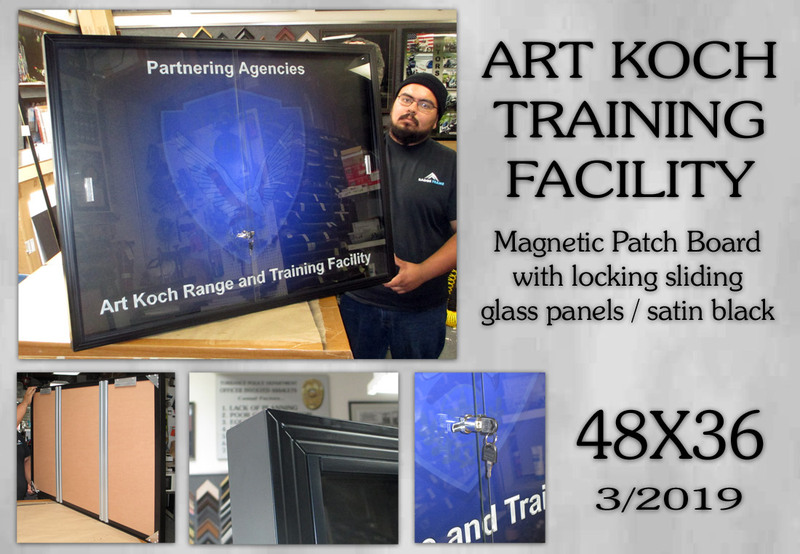 We can also incorporate your graphics on the backboards which can be magnetic or non-magnetic. With these presentation types, the backboard will not accept push-pins. 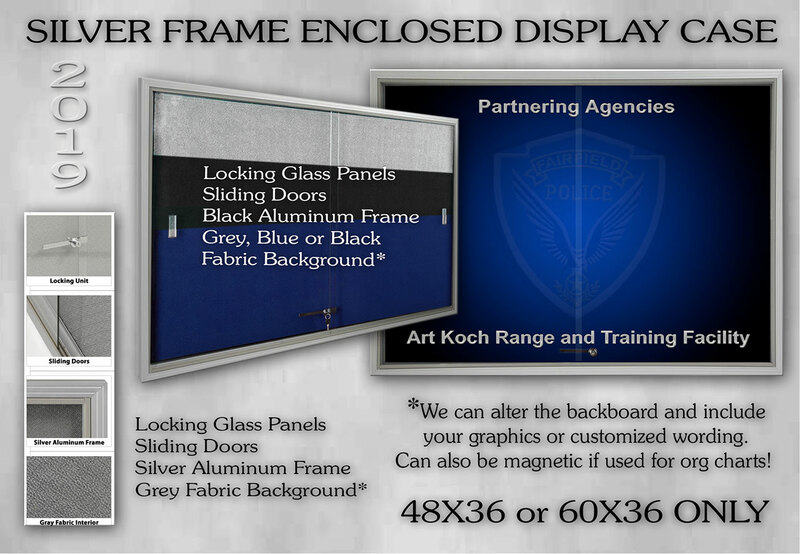 Call us to create your board proof (800) 639-3726.